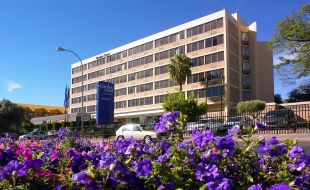 Garden Court Kimberley is a great choice for visitors looking to book one of the top business-friendly hotels in the Northern Cape. The full range of modern amenities and services ensure a productive trip. Business guests love the complimentary WiFi, convenient workstations and conferencing facilities. 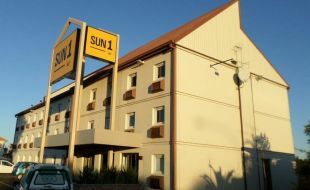 Leisure guests are not forgotten at this superb Northern Cape hotel. Aside from the superb location a stone’s throw from the world-famous Big Hole, the hotel places an emphasis on welcoming comfort and service with a smile. Each of the 135 rooms has an extra comfortable bed for a great night’s sleep. The wide open landscapes and the endless blue skies make the Northern Cape a special place to reconnect with yourself. Its arid natural beauty, unique flora and teeming wildlife create a special atmosphere throughout the province. The dusty landscape is dominated by the Karoo Basin and the far south of the Kalahari Desert. The province lies on the beautiful shoreline of the West Coast and shares borders with Botswana and Namibia. The Orange River serves as a lifeline through the province, made evident by the ribbons of greenery that hold closely to the banks. Kimberley is the capital city and acts as both the gateway to an adventure holiday into Africa and a hub of commerce and industry. The city and the province has been shaped and scarred by diamonds, but continues to hold a special charm as a fascinating tourist destination. A famous attraction - a diamond mine that was excavated by shovel and pick during the diamond frenzy from 1871 and changed the landscape of Kimberley forever. 10 minutes from Kimberley, Kamfers Dam is a part-time home to thousands of flamingos. This is a popular attraction for visitors from all parts of the world. This reserve lies about 80 kilometres south-west of the city of Kimberley. If you want to experience the natural beauty of the province and you only have time to visit one place, then head here. The National Park gives you a picture of this province in all its natural glory.